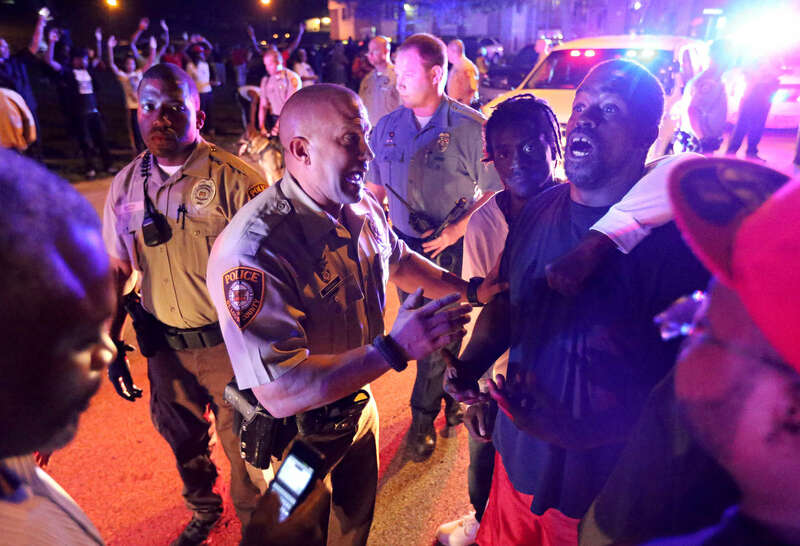 Police officers speak to a man as they try to calm down and break up a crowd on Canfield Dr. in Ferguson on Saturday, Aug. 9, 2014. Earlier in the day police had shot and killed Michael Brown, an unarmed18 year-old man, and community members turned out large numbers to express their outrage. Police officers eventually withdrew from the apartment complex.